One of the first few to introduce the use of ‘’UAVs for the Commercial sector’’ in Singapore, Kenneth Pan has been invited by various agencies to conduct talks and exhibitions, such as BCA’s Smart Builders Leadership Series, to promote the use of UAVs to aid in visual and operational productivity. 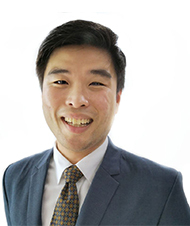 Joining Surbana Jurong as Senior Drone Specialist in Digital Management Office (DMO) in June 2018, Kenneth is a certified UAV pilot with CAAS. Kenneth’s key role at Surbana Jurong is to co-develop the use of UAVs with respective business units, and build it into their workflow – with end objective to equip Surbana Jurong staff the knowledge, training and expertise to operate UAVs.